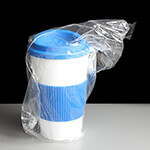 White body reusable travel mug ideal for take away tea and coffee for drinking on the move. It is manufactured in the UK and is robust for regular use out and about and the plastic is BPA free. 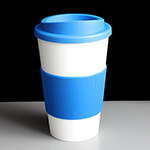 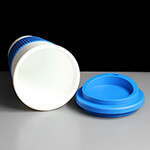 The white blue body has a Matt finish and the blue lid screws onto the body for extra safety with two holes in the lid, one for drinking and a pin hole for air to be let into the mug whilst drinking. 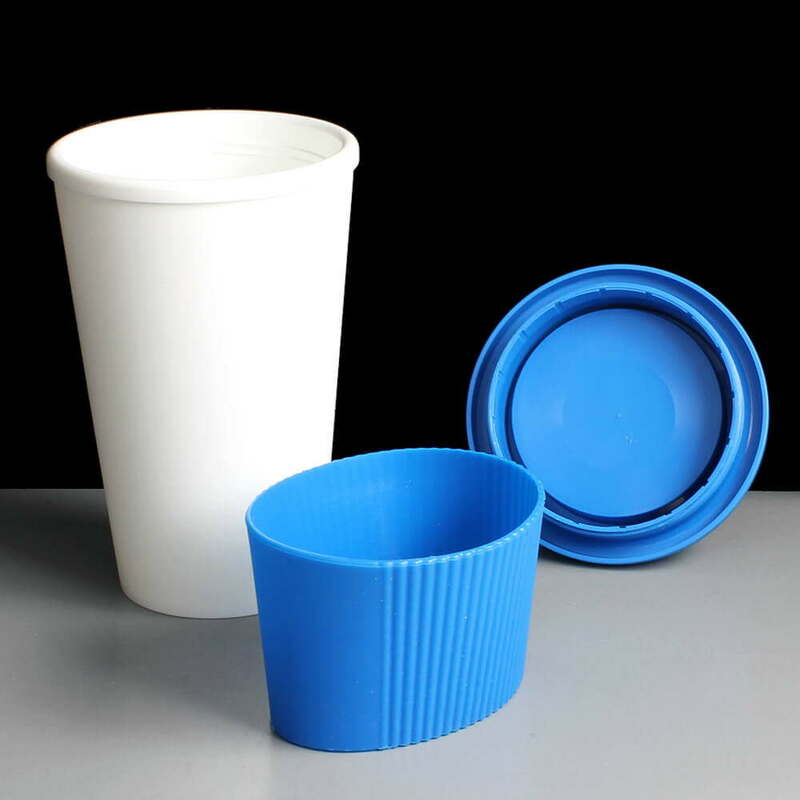 The grip is made from silicone and slides on and off the cup. 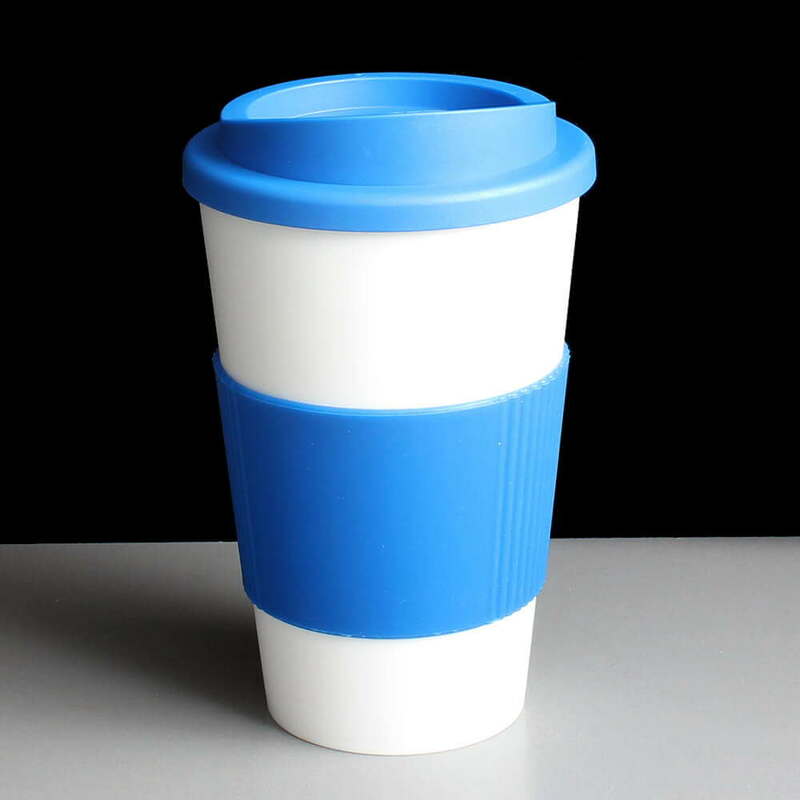 For added convenience, the travel mug is top rack dishwasher safe and also microwave safe. 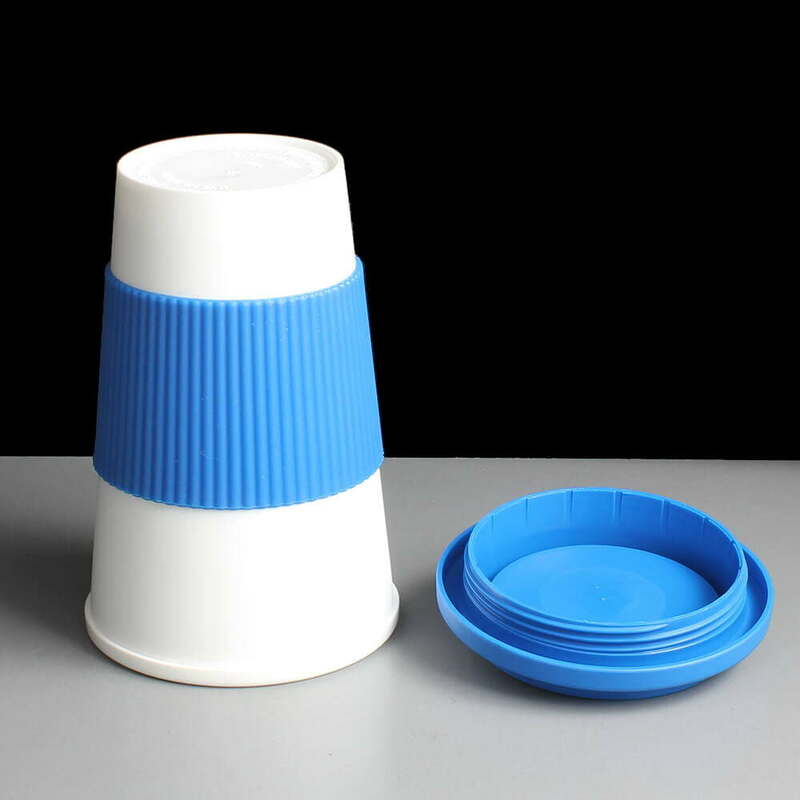 They are sturdy and robust and we've tested dropping an empty one from a low height in the office and it bounced without breaking. The 35cl capacity is similar in capacity to our 12oz disposable coffee cups and the most popular size of coffee cup used on the go making it the perfect replacement. 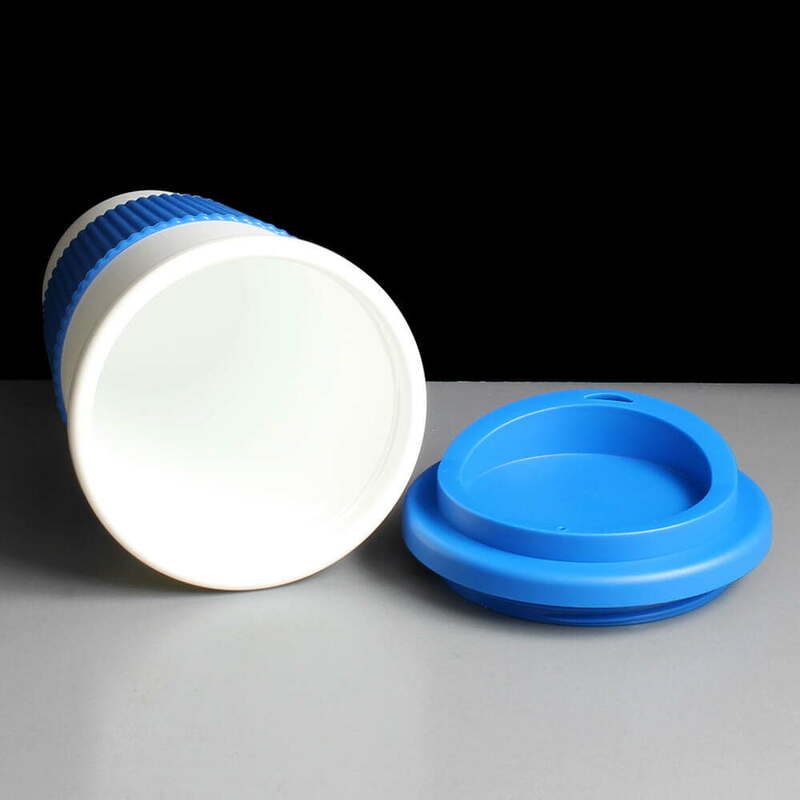 Dimensions : Base 61mm; Height (inc lid) 158mm; Top Width (lid) 93mm. 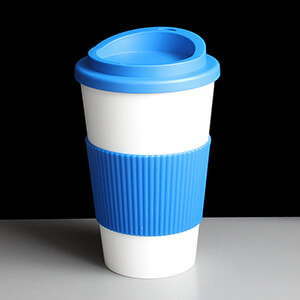 Ask us about printing - if you would like your branding screen printed onto the blue sleeve, please contact us for more infomation and pricing.